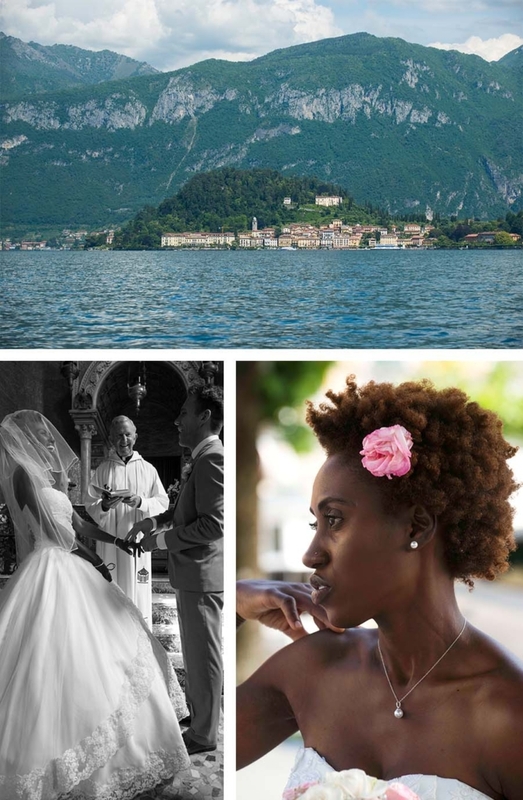 Anne and Sven’s wedding was set to the gorgeous backdrop of Italy’s Lake Como. Anne had come to me requesting a very simple, yet elegant invitation suite that would set the stage for their nuptials. Anne had told me that they had been thinking of adding some pearls to the table decor. 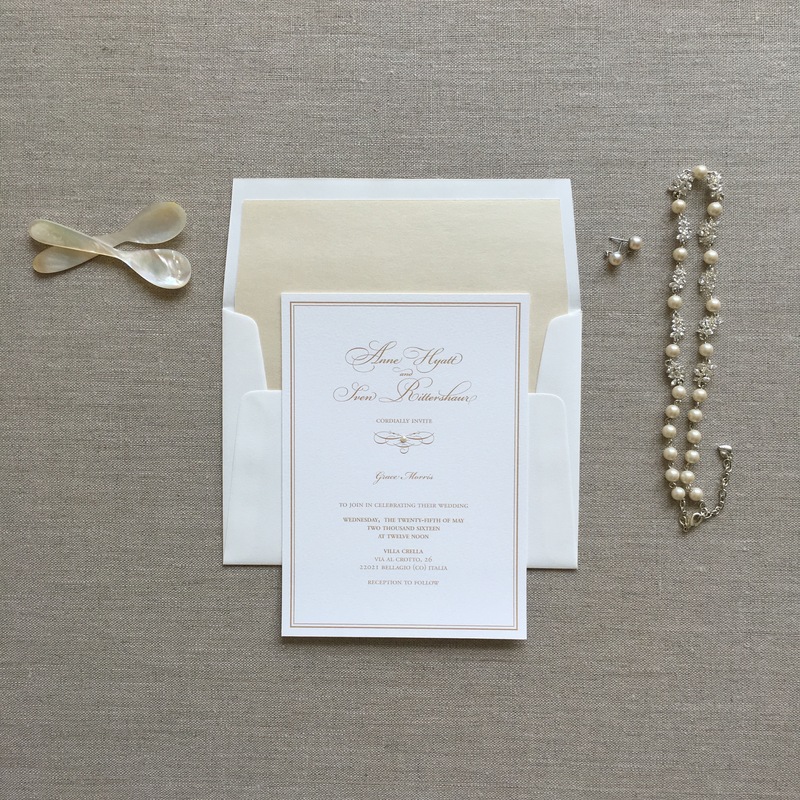 This inspired me to add a stylish flourish with printed beadwork and a small hand applied pearl drop to each invitation. I assured Anne that the invitation sets would still be very elegant and not too fussy. 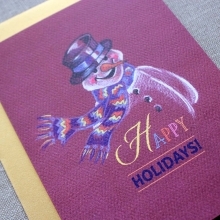 I added a shimmery pearlescent envelope liner in a soft cream color to reflect the luster of pearl. 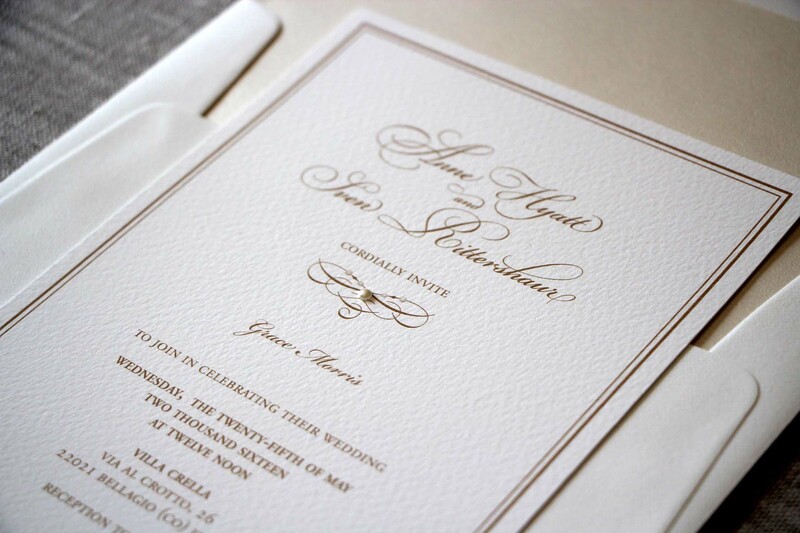 It served as a perfect textural compliment to the invitation set. I then went ahead and sent Anne and Sven a sample for approval. 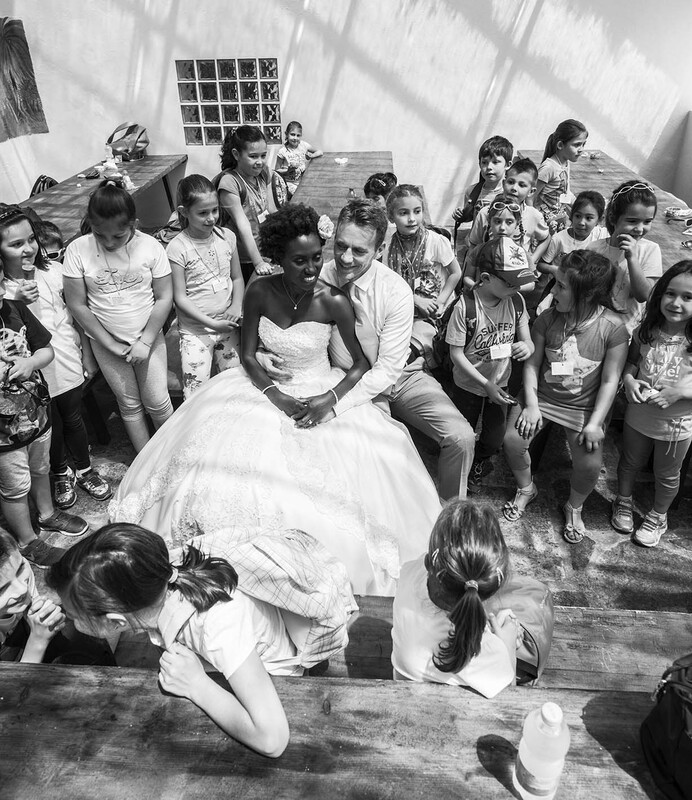 I was so so happy they loved the idea and thought it the perfect fit for their big event! It is honestly one of my biggest pleasures to collaborate with my clients and create a unique stationery suite that truly captures their spirit and the essence of the wedding. 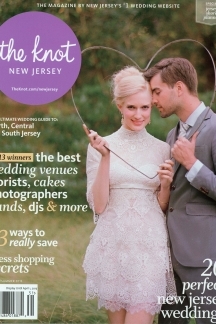 Anne was gracious enough to share some photos of her gorgeous wedding this past May. Thank you and congratulations to the lovely couple!!! Finding the perfect color and match to fit the wedding invitation suite. 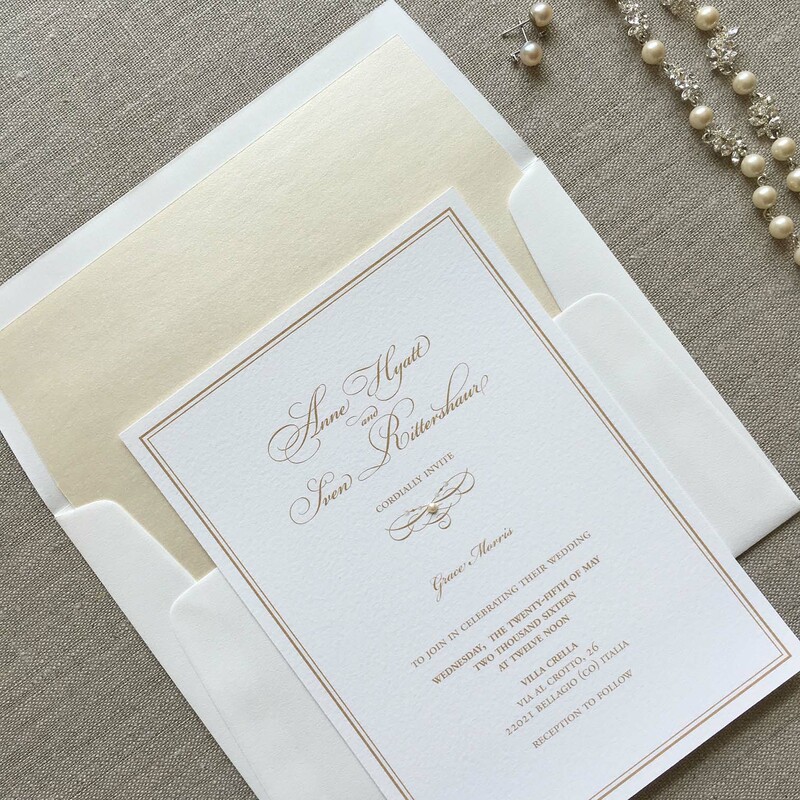 Flat backed Swarovski Pearl Elements were applied by hand to each invitation. It is often the smallest details that add the hand crafted and truly personal touch to each invitation. The small details. 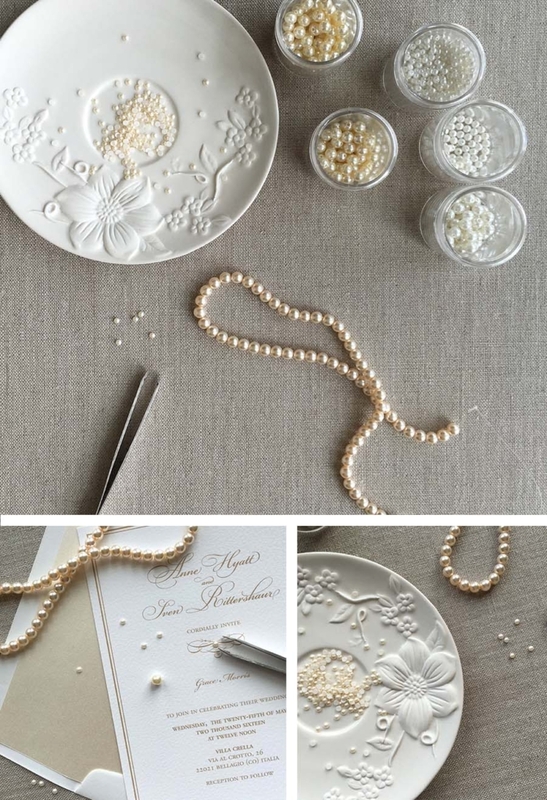 Hand applied pearl accents to each invitation. Detail of Anne and Sven’s invitation. Monika created the perfect wedding invitations for our special day. She was quick in responding to my emails and was very friendly and professional in making sure I had the perfect design. My fiancé and I are more than pleased with the service and products we received from Little Dove Design. We are so happy that we will also ask Monika to make our special Thank You cards. Thank You Monika!!! !